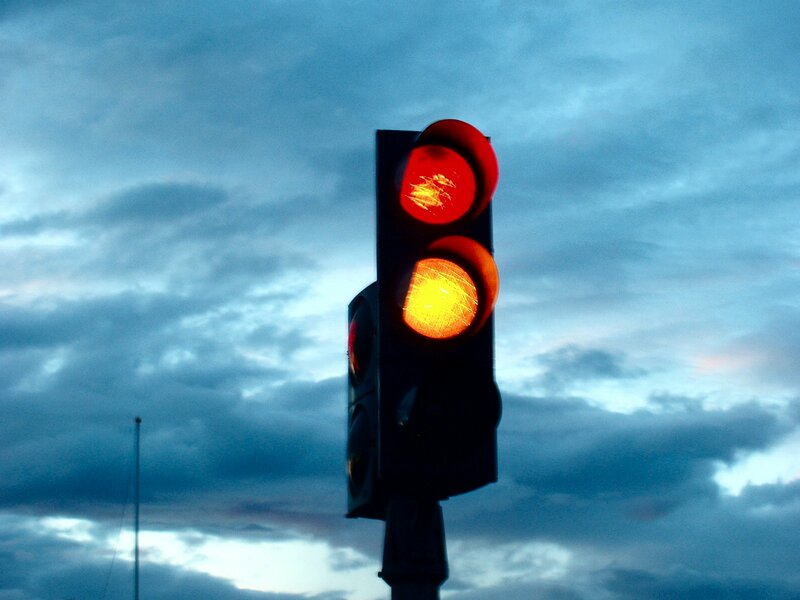 The Traffic Light Miracle — Go to Heaven Now! I’ve heard many Christians tell strange stories of how the Lord got their attention when they didn’t yet believe in His existence. Here Michael shares his side of the story of seeing the Lord stop a person to get their attention. Maybe someday in heaven we will hear the other side of the story from the person who waited at a red light for three cycles! Back in 2004 I used to go out with a group from my church and we would do “street witnessing,” randomly evangelizing those in the college town in which we lived. To be fair, it was quite fertile territory, as many youth were now free from the fetters of their parents’ rules, regulations, and belief systems, and they were able to freely question what they believed and the choices they valued. The downside of this is that there was a LOT of alcohol that flowed freely between the many bars, clubs, and pizza joints on the main street, and the many parties on frat-house row just a few streets further. One friend in particular carried a cross around when we would go out–a large, wooden cross that God had told him to carry some time prior. Before anyone gets weirded out by this, this man is genuinely one of the more loving, Jesus-like people I have ever met, and he has a serious heart for evangelism. We would often split in pairs and walk around, sometimes even opening up conversations about “that guy” with the cross. Fast forward, one clear night the cross-man and I were working together and he felt led to stand on the sidewalk by a frat house with a loud party in full swing. We prayed both in English and in tongues as we did this. Shortly thereafter we walked half a block to stand at the corner of two one-way streets. This particular corner had an odd three-way street setup, as there was a one-way street that ran straight, and a second that dead-ended into the first street to form a T. In other words, all roads led to one direction. While we stood there a single red sports car stopped at the red light on the straight street, with no other traffic in sight. We stood there praying, and watched as the other light turned yellow, then red, but the light for the car remained red. We watched the other light turn green, yellow, and red again, but the car’s light remained red yet again. This went through THREE cycles, with the car backing up and pulling forward to try to set off a motion detector to turn the light green. Finally, the car gunned it and ran the light. Moments after running the intersection, we watched their traffic light turn green and continue on the normal schedule. I will never forget that night–it stands out in my mind as one of the more stunning miracles I have witnessed, where God rearranged something as simple as a traffic light to work on the hearts of those in the car. While we don’t know the depths of what God did that night, It was clear to us the inhabitants were under the conviction of the Holy Spirit as we stood there with a cross and a traffic light that against scientific reasoning just wouldn’t change. We often think of miracles as these things of spectacular origin–legs re-growing, materials appearing from heaven before our eyes, or such things as multiplying food and turning water to wine. It can be easy to overlook the sometimes less-obvious but equally spectacular ways God works in our lives. Often the first step to a miracle is putting ourselves in situations where miracles are needed. If we hadn’t been standing at that street corner with a visible sign of God, I doubt that light would have remained red–why would it have needed to? If we hadn’t been standing there our own faith wouldn’t have been encouraged by it either. If we hadn’t been standing there, who knows what lives would have gone untouched, and what negative effects that could have had down the road. God is a God of goodness and mercy, and he is far more able to perform miracles, signs, and wonders than we have been taught to believe. Let us be a people who are willing to put ourselves out there, and who are willing to believe. ‹ “The Power Of Faith” Or The Goodness Of God? My occupation is in traffic signals . The signal you spoke of may have had a temporary glitch in the program. The miracle is that it happened when it needed to happen.